The Bodyguard musical is a bitter-sweet experience. While it's thrilling and seductive, it's also tinged with a sad sentimentality at the heartbreaking finale and the fact it has been adapted into a tribute to the late, great Whitney Houston. So, it's more than a welcome relief that the cast come out to perform an encore of Whitney's gloriously happy I Wanna Dance With Somebody to end the show on a high. The Bodyguard is a blockbuster of a summer show for five weeks at Birmingham Hippodrome, dripping in glamour, passion and pop. While the plot more or less stays in line with the movie of the same name, starring Whitney Houston and Kevin Costner, the producers have cleverly weaved in many of Whitney's greatest hits. It's done so well that it fits naturally into the musical, whether it's girls singing a track out of tune in a karaoke bar or Rachel performing One Moment In Time at the Oscars. The show opens with a bang - literally - as a gun shot resounds around the theatre and we are flung straight into the story of hunky former Secret Service agent-turned-bodyguard Frank Farmer (Stuart Reid). He's licking his wounds from being unable to save a client when he is persuaded to protect singing sensation Rachel Marron and her son from an unknown stalker. Rachel's first appearance is performing Queen Of The Night in an almost Beyonce fashion. 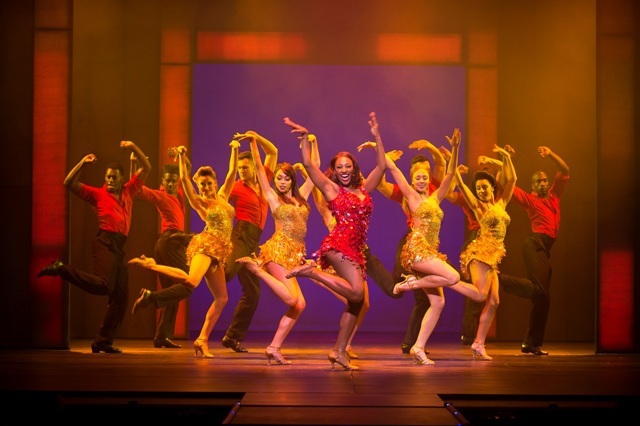 It's a big song and dance number to show The Bodyguard means business. A slick, lavish set using huge video screens, blasts of fire and atmospheric smoke takes the audience swiftly from Rachel's luxurious mansion to nightclubs, the Oscars ceremony and a mountain cabin hideaway as we see Rachel and Frank fall in love as the stalker gets closer and closer. X-Factor winner Alexandra Burke takes on the huge lead role of Rachel Marron and has a fittingly powerful voice as well as some good acting skills. She impresses the most during songs Run To You and the climatic I Will Always Love You. There's no doubt she can sing but this show makes you realise just how vast Whitney's vocal range was as it takes two women to fill her boots. The songs are split between Rachel's character (Burke) and her sister Nicki (Melissa James), who has a larger role in this musical than in the film. You feel much more empathy towards overshadowed sister Nicki than in the movie, especially as she comes across as more likeable than Rachel and just as talented. Then there's the fact actress James is as sensational in voice and appearance as Alexandra Burke. What Burke does have, however, is an immense rapport with her leading man Reid, which makes the love story and fiery nature of the characters' relationship more believable. There's plenty of heat on stage between the two. Meanwhile the songs and power ballads come thick and fast, but with timeless hits like So Emotional, Saving All My Love, I Have Nothing and Jesus Loves Me, the time seems to fly by all too soon. 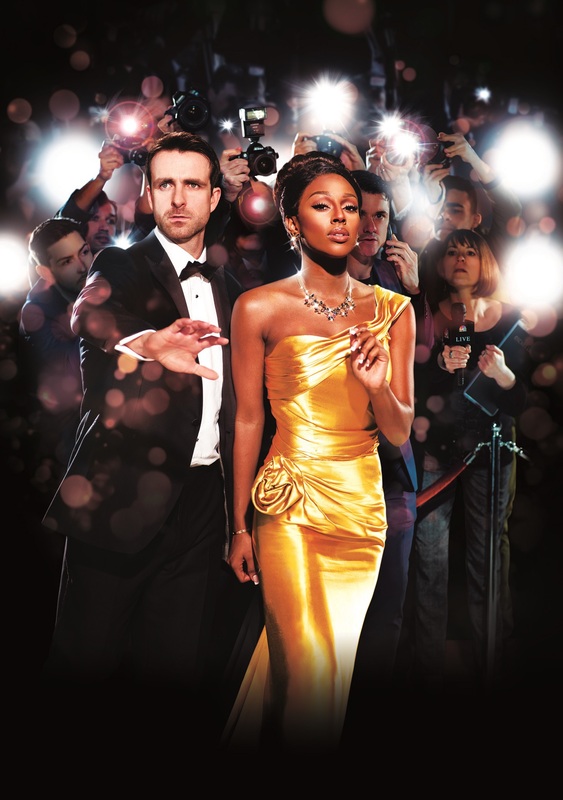 The Bodyguard has fast become one of those must-see musicals of a generation and that's understandable as it is a fine conversion from film to stage with sensational songs and a reminder of an iconic singer, lost all too soon. It's worth noting that Alexandra Burke will not be performing at midweek matinees or Saturday matinees on August 21 and 22. Another former X Factor contestant, Zoe Birkett, will take on the lead role in those performances. Running time: Approx 2 hours 15 minutes including an interval. Tickets cost from £18 to £49.50 from the Birmingham Hippodrome website or by calling 0844 338 5000.